airtel today launched its 3G services in Chennai and Coimbatore and annouced 4 type of Plans for its subscribers in Tamil Nadu. 1. PAYG VBC (Pay as you go): For all existing airtel 2G customers who want to experience the power of airtel internet on 3G for a short while, this tariff plan is the solution. The customer will pay the same prevailing data rates as on 2G service, but with the advantage of a faster mobile broadband. 2. Sachet Plans: The objective of these plans is to drive mass trial and adoption of 3G, and will serve as the natural upgrade path to higher rental plans. These plans will have validity of lesser than or equal to 10 days. These plans are only for Prepaid subscribers. 3. Standard Plans: These plans are best suited for the mid to high-end users of data and will have a validity of 30 days. 4. FlexiShield Plan: This plan has a combination of free data usage and a low inbuilt VBC rate. The plan is constructed in a way that it provides the customer, the flexibility to start from a relatively lower initial rental commitment and shields from a bill shock. airtel also introduces an initiative to help customers manage their 3G data usage and prevent ‘bill shock’ – by offering proactive, personalized and timely data usage alerts to its customers. 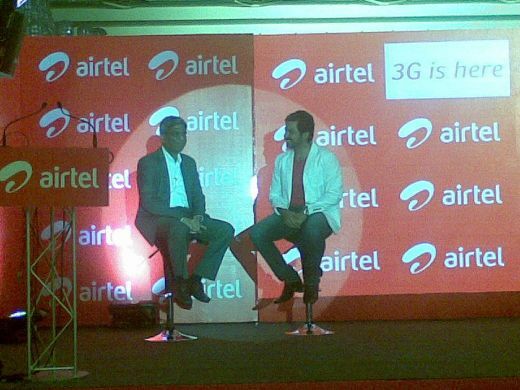 To know more you can visit www.airtel.in/Airtel-3G/, call the Toll Free Helpline 12134 or SMS ‘3G HELP’ to 121.